Three simple ingredients make the freshest Lara Bars you’ve ever tasted! 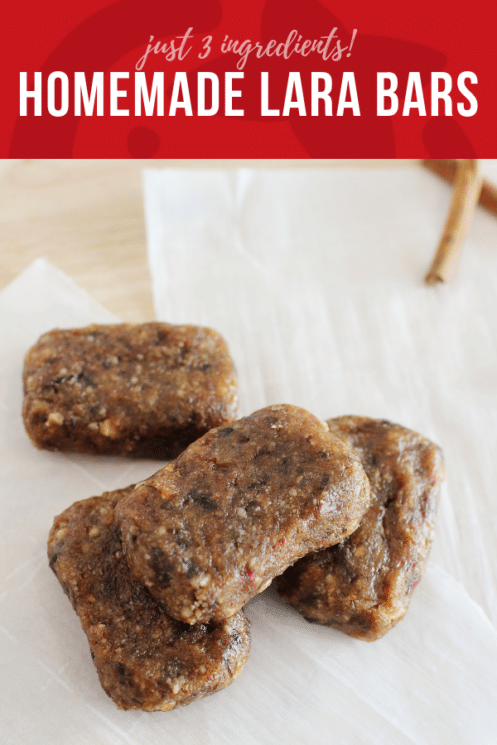 Mix these up in the food processor for a quick, energy-dense snack you can take along to parks and play dates. Of course, it was only a matter of time before we felt the itch to make Lara Bars in our own kitchen. With such a short, accessible ingredient list, how could we not! The results are delicious: soft, chewy, and fresher than any bar you’ve had out of a package. They’re also nearly as easy to pack in a lunchbox or snack box for the park. So let’s do this! Haul out that trusty food processor and make some Lara Bars with us. 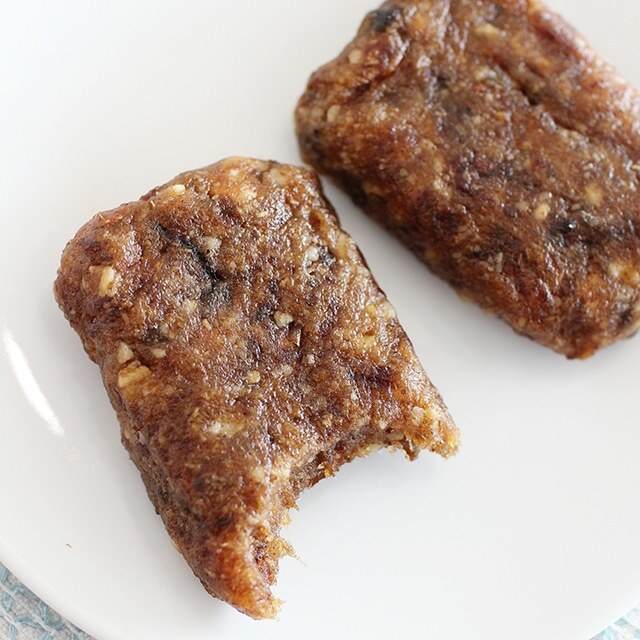 The basic Lara Bar formula goes like this: nuts for protein and crunch, and dates to sweeten and bind. 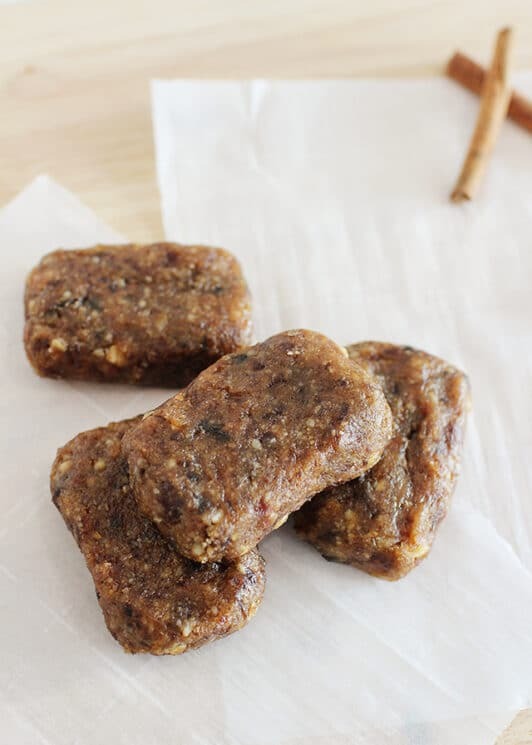 To make these Lara Bars, we chose walnuts, because walnuts are rich in healthy mono-saturated fats, and they taste great. But this recipe is incredibly versatile. 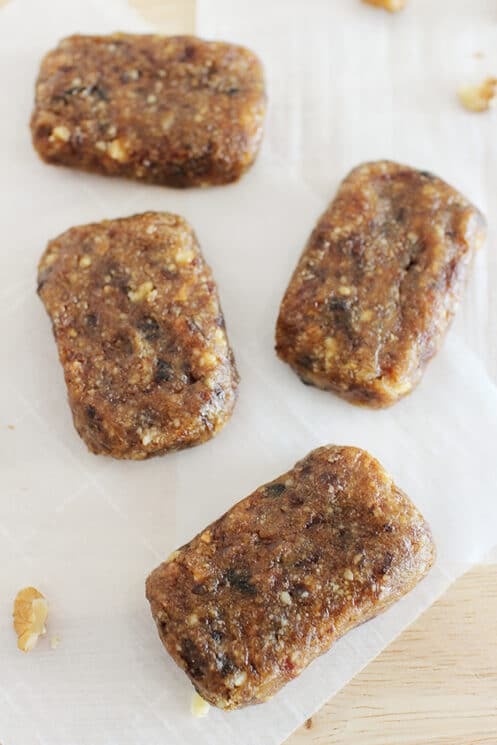 You don’t need to soak the dates to make Lara Bars; in fact, soaking the dates will shorten the shelf-life of the bars. We like Medjool dates best for this recipe, because they’re naturally soft. First, grind the nuts in the food processor. Then add the pitted dates and process a bit more, until you get a ball of “dough.” Finally, shape the bars by hand. We made rectangles to remind us of the store-bought bars. If you’d like Pinterest-style bars with smoother edges and corners, you can use a bench scraper or a knife to shape them. We’ll respect you either way, promise. Enjoy! 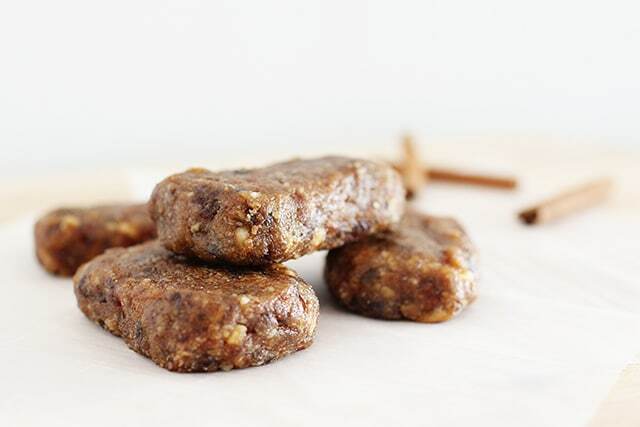 And take a peek at our other date-sweetened snacks, like Homemade Cherry Pie Larabars, Healthy No Bake Date Bars, and Cashew-Date Energy Bars. Remove the pits from the dates, and blend the nuts separately. Combine the dates, blended nuts, and cinnamon to a blender or food processor; process until smooth. Place the date mixture on wax paper, and shape into a rectangle using your hands. Cut into bars and wrap with wax paper and store in an airtight container.